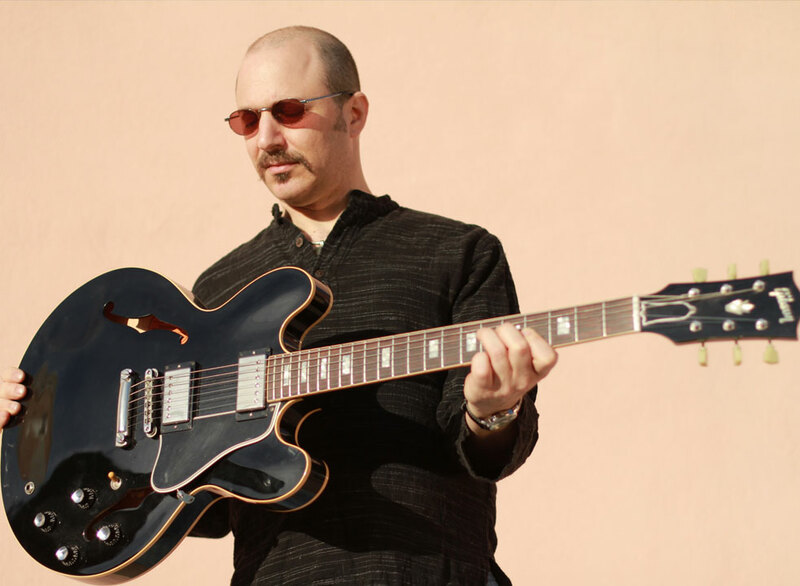 PLG Arts, in collaboration with Erv’s at 2122 Beekman Place, presents jazz, pop and world music in an informal setting that promotes interaction among performers and audience members. 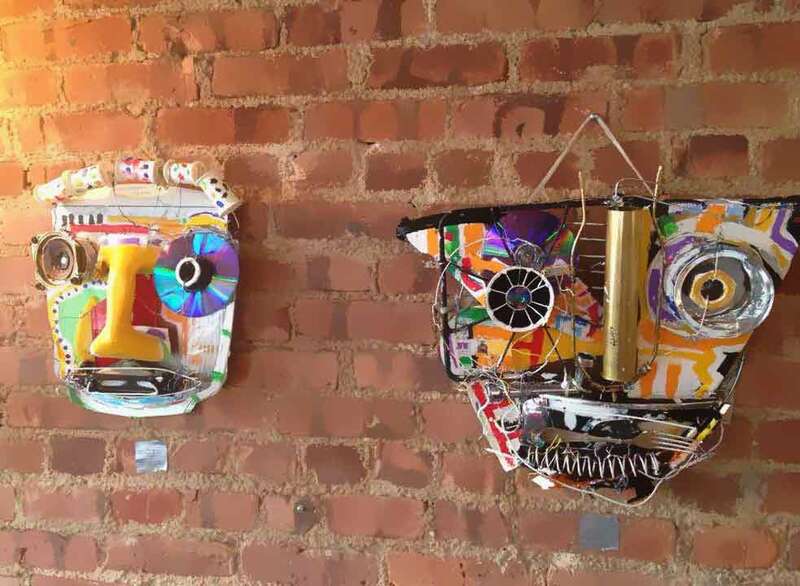 PLG Arts curates monthly shows at the Tugboat Tea Company, with a mix of group, solo, and two person shows in any hangable media. 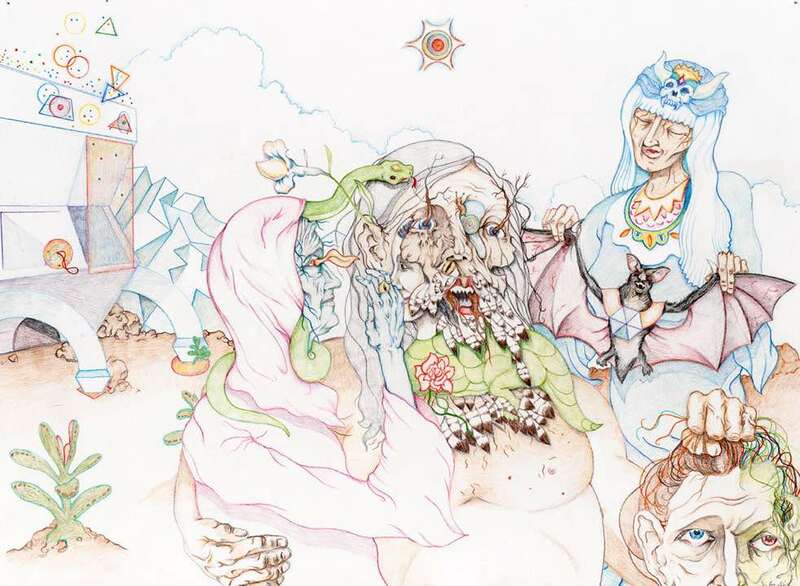 PLG Arts’s Artist Registry is an online database of Brooklyn-based artists (either living or working in the borough) of all disciplines. 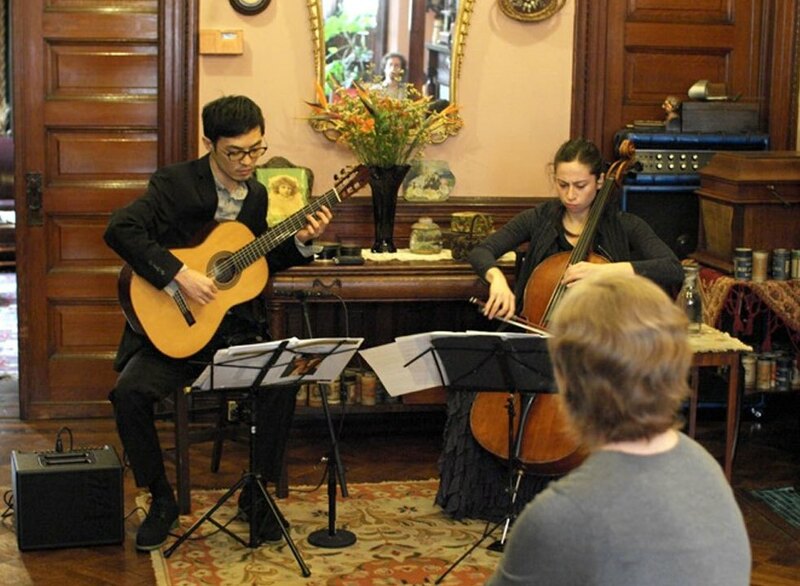 The Chamber Music series is held at various venues in Prospect-Lefferts Gardens and surrounding neighborhoods. 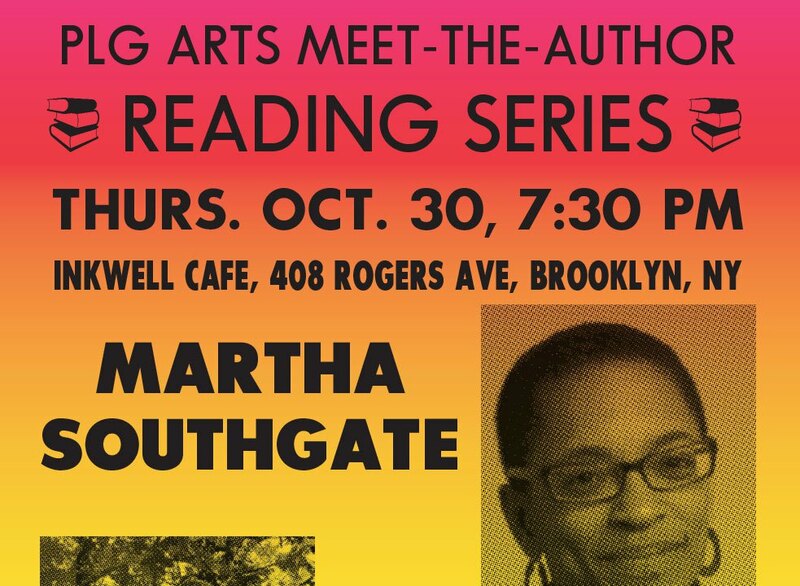 The PLG Arts Meet-the-Author series features writers who live in Prospect-Lefferts Gardens and other neighborhoods, reading from their work. PLG Ars supports theater performances in the neighborhood. 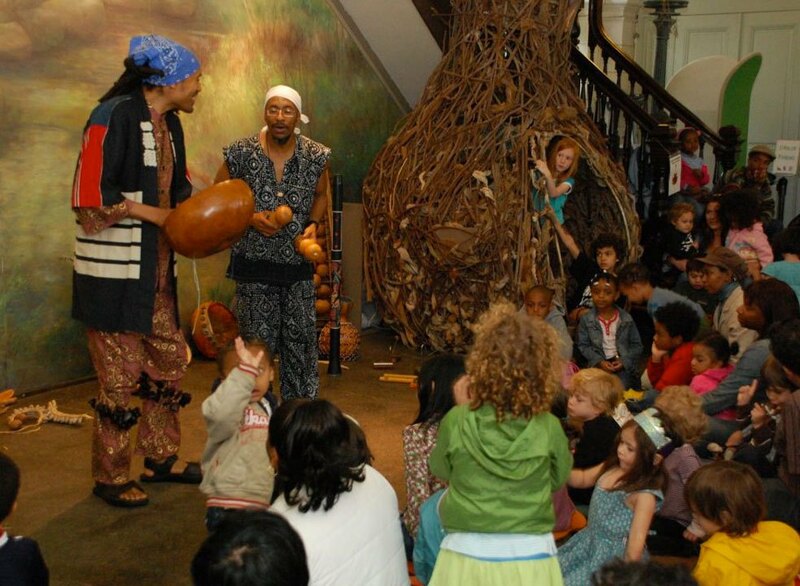 Musicians and storytellers Hasan Bakr and Kevin Nathaniel introduced children to the sounds of Africa and the African diaspora through the story of a young musician, a magician, and how they save their village from the evil giant Abiyoyo. Instruments included the djembe, mbira, bongo, and shekere. ArtMart 11225 was an annual outdoor arts and crafts market on Lincoln Road featuring original work by Brooklyn artists and artisans. 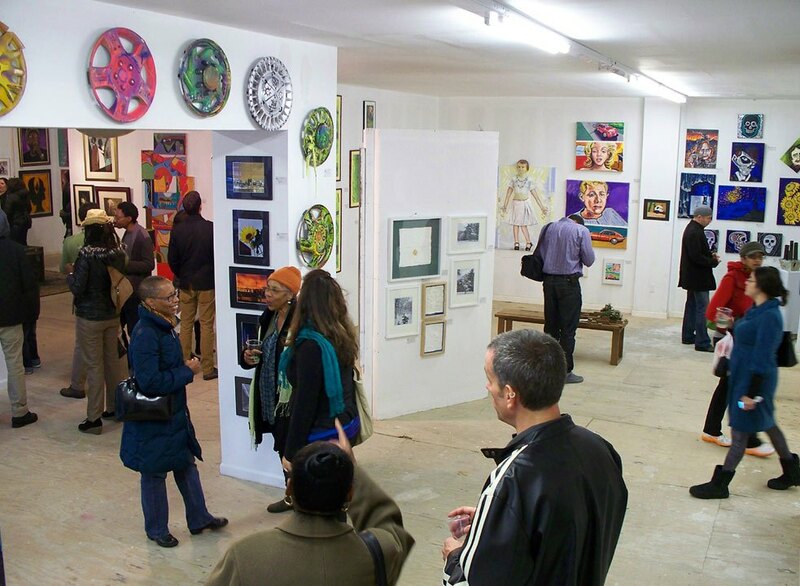 Equal parts gallery, arts & crafts market, and performing arts venue and 100% Brooklyn, for two weeks The Neighborhood Show will showcase artists living in Prospect Lefferts Gardens and surrounding Brooklyn communities with visual arts, music, spoken word, and crafts. Each summer form 2006 to 2011, families and Shakespeare lovers old and new flocked to Prospects Park’s Imagination playground for PLG Arts’ annual production of Daydream, a forty-five-minute adaptation of A Midsummer Night’s Dream. 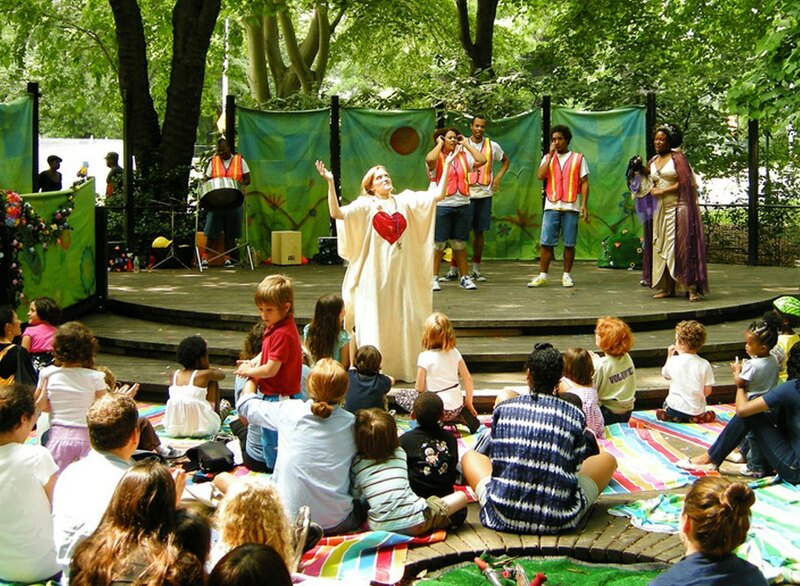 Daydream offered free theatrical performances in Prospect Park, bringing live theater to our community and creating an opportunity for local actors, directors, and designers to collaborate and share their work. 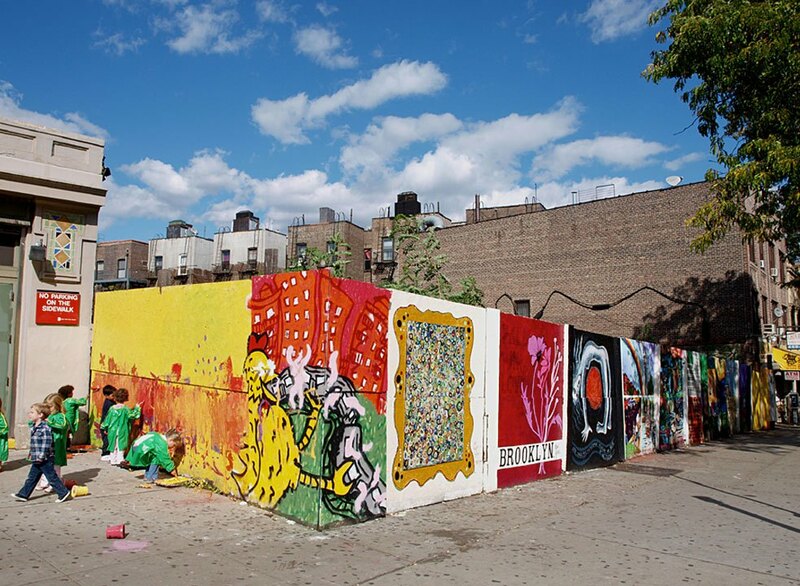 In September 2009, more than 25 visual artists from the community, along with neighborhood teens, young children, and preschoolers from the Maple Street School created unique murals on the walls surrounding the large L-shaped (lapsed) construction site that faces Lincoln Road between Flatbush and Ocean Avenue and Flatbush just north of Lincoln Road. A crew of volunteers of all ages worked hard to prime the walls in preparation for the artists. 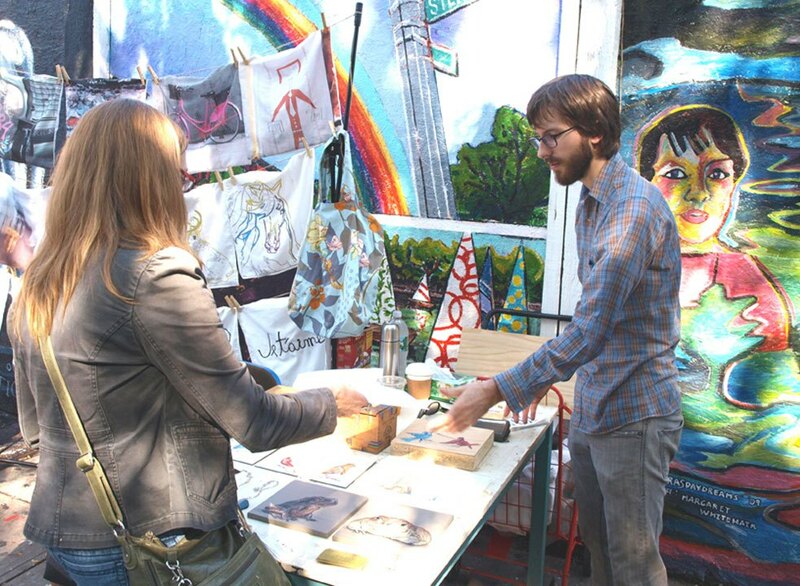 Many more neighbors participated by decorating hundreds of tiles for the mosaics on the panels on Flatbush Ave. Visitors to our area and neighbors returning home no longer confront an eyesore— they are now greeted by vibrant, colorful murals that celebrate our community. 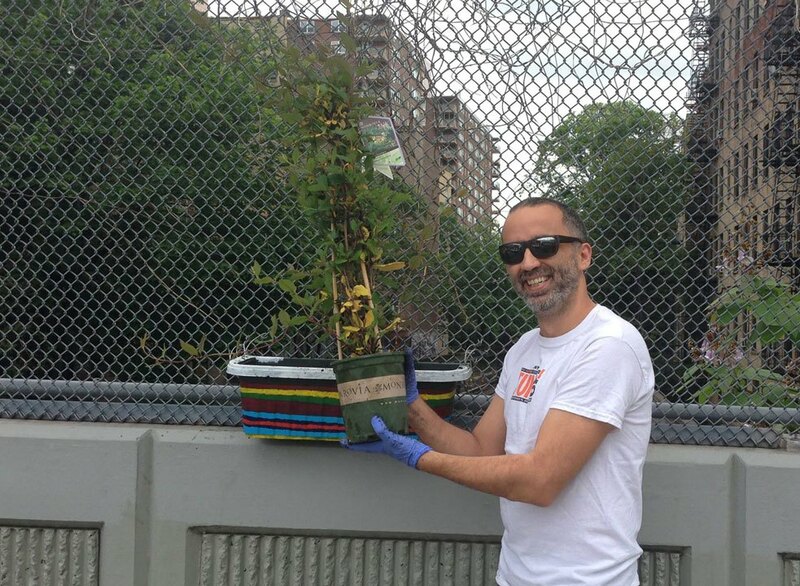 This summer, PLG Arts collaborated with LinRoFORMA to install four sub-irrigated planters on the Lincoln road bridge fence (over the Q train). We thought to carry on the idea of “weaving” that previous art installations on the fence displayed, yet this time, with plants. When folks exit the Prospect Park subway station they see these four planters growing and weaving vines throughout the fence, expressing a more and more complicated shape. The daily dog walkers from the local neighborhood pass on the way to and from the park, consciously or unconsciously noting the growth and change over time. We have seen bees flying around the purple flowers. The passion flower vines grasp the fence with amazing strength—the vines look like copper wire. The planters seem to have created a bit of a different space on the bridge. It almost seems like people stop and linger a bit longer. The plants garner continuous compliments and appreciation, yet are dependent upon care from the neighborhood residents. Several residents have offered to help water. In a certain light, the plants become a sculptural expression of care and neighborhood improvement. 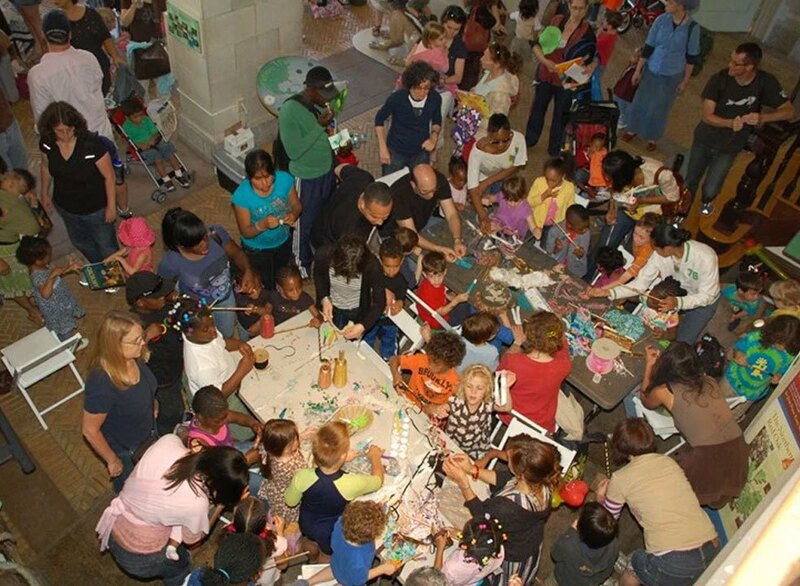 Join PLG Arts and become a vital part of the arts in our neighborhood! By joining you help us create and sponsor more visual arts, dance programs, theater events, and music for the children and adults of our community.